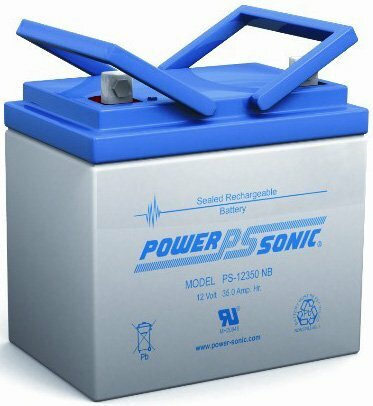 How long will my lead acid battery last before I have to charge it again? Someone posted this question in the Vandwellers subreddit. Here was my answer with 2 very simple formulas. If you multiply together your amps per hour and your volts in your battery, you can find how many watts per hour are inside your battery. Let’s use this battery as an example. 35 (amp hours of this battery, unit AH in the above link) x 12 (volts of this battery) gives you 420 watt hours (wH). 2 of those batteries like you have, will give you 840 watt hours. “Watt hours” just means that you can run 1 device that uses 840 watts, for a single hour. Or you can use 420 watts for 2 hours. Or 210 watts for 4 hours, and so on. So lets say you are running only a 40 watt laptop. All you have to do is divide 40 into 840 to find out how many hours your laptop will last on your lead acid batteries. Obviously now your deep cycle batteries are stone cold dead, which you might not want to do, but with a deep cycle battery it will not be as bad for it as it would be if you had a standard lead-acid battery. In the example of your laptop, you will also lose some of your power in the conversion process from DC to AC and back to DC again, probably around 20% total, bringing your total run time to roughly 16.8 hours. So it’s a good idea to be conservative when estimating operating time. Every time I convert DC to AC or AC to DC, I estimate 10% power loss in the conversion process. This power loss turns into heat which is why your AC/DC converters get hot.